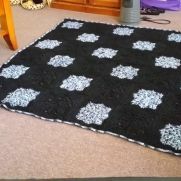 My Name is Kaz, I am from Australia, I am glad to have found a crochet community to share with others who enjoy this kind of craft making. I was taught this art by a neighbour who used to sell my work, now I sell my work to support a Cancer Fundraiser my sister and I started in honor of our friend Donna. You can find us on Facebook by typing My Journey into the search bar of Facebook you can join the page and follow the journey of everyone who shares their's and our fundraising efforts, all welcome! 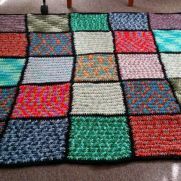 By becoming apart of this crochet community I can share with others my most recent works of art, and enjoy the conversations and works of others. 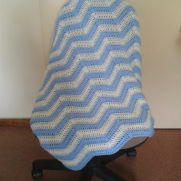 The things I tend to make are sunhats, beanies, scarves, rugs/afghans and pretty much what ever else I can learn to make! I have also just learned how to make beaded jewelry and am starting to sell that for donations too. Look forward to meeting lots of wonderful people here!